It seems that at least once per year I have to exegete the key verses because someone within Christian leadership misuses them completely. Outside of poor Malachi, perhaps there are no verses more misunderstood than these. 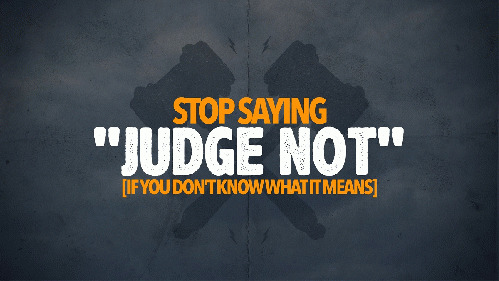 If you asked Christians, I guess nine out of ten would say that Christians should never judge! Just read Matthew Seven, right? Wrong. What preacher? Are you saying Christians are supposed to judge? Within the church -- absolutely.